A new Pew Research poll conducted July 15-17 shows that Americans are evenly split on the need to raise the debt ceiling. 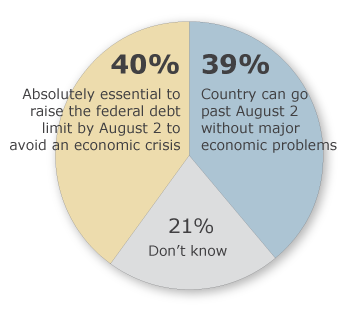 40% say it is essential to raise the debt ceiling by August 2nd; 39% believe there will be no problem if the country goes past August 2nd without raising the debt ceiling. 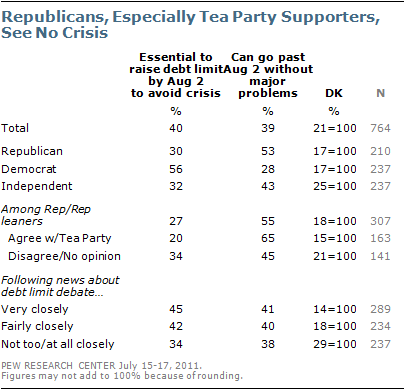 Republicans in general and Tea Party identifiers in particular see no problem in not raising the debt ceiling.